Counting Down The Days – Fairway Drives The Green! My new book, Fairway To Heaven releases on January 8. You can pre-order it now at Smashwords (lots of formats available) and it’s available on Amazon for Kindle. So now I have more butterflies flying around in my stomach than there are in the Amazon (the jungle, not the bookstore). Ali Elle Morris asked me this week whether I was nervous about the release. At the time, I don’t think I was. Now, that it’s all that bit closer, I’m re-considering that comment. Truth is, I’m more nervous than a groom on his wedding day, when he discovers he’d rather bonk the bridesmaid. It’s been a busy week, and next week gets even crazier. Here’s where you can catch me. I’m on quite a Lily-pad hop to talk about Fairway. 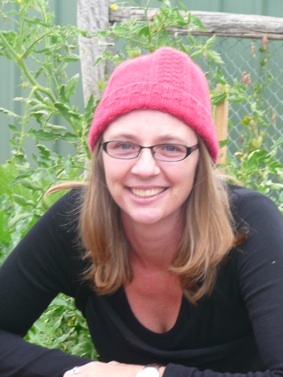 (Well, it’s quite a Lily-pad hop for this shy, retiring little author and her pink beanie). Ali Elle Morris is a travelling willow-the-wisp… she taunts me on Facebook with travelling blogs and she’s currently in England, or Ireland, drinking Guinness, no doubt in the snow. I spent some time on her blog this week to talk about self publishing, traditional publishing and the decisions I’ve made so far in my writing career. 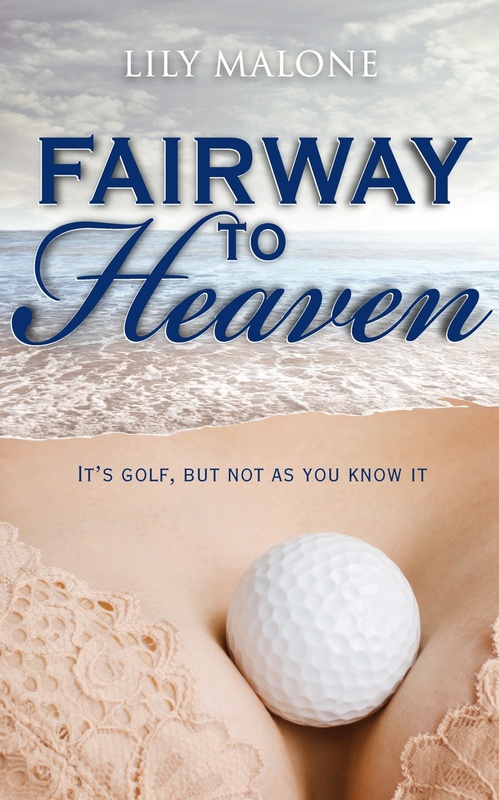 In fact, I spent so much time on the first part of Ali Elle’s question, I didn’t even get to mention Fairway To Heaven, so she very kindly asked me back to continue a part 2. You can read them both here: Part 1 & Part 2.
on this couch for a year, (although I was a little worried the colour would clash with my beanie) and now I have my chance. I decided to talk to EE Carter about my mother. Because that’s what a good girl does when she’s invited to sit on a purple couch. (See the post here – it includes an exclusive excerpt). I’m in the limelight and the spotlight, I’m doing a Quintette and a Hunky Hero, and then a very tried and true blog at Just Contemporary Romance. And then we top everything off on Saturday with the Golf Bunker Blog Hop, where 18 authors all talk about sport. Or not. In fact, some talk about how much they absolutely abhor sport. I refuse to hold this against them. They’re still all good sorts. (And great writers). January 9 – Meet Brayden Culhane at Kendall Talbott’s Hunky Heroes blog. January 11 – 13 – The Sand Bunker Blog Hop begins. Don’t miss this. You’ll actually get the opportunity to win great stuff, including chocolates and a copy of The Yearning, plus lots of e-books! And finally, with Fairway To Heaven just three measly teeny tiny days away. This is the other thing I’ve been doing, making movies. Please enjoy a sneak peak at my book trailer for Fairway. Thank you blog friends for following me through the birth of Fairway To Heaven. I’m very (VERY) proud of this book, but I’m also incredibly nervous about how it will be received in the great big golf course upon which she is about to roll. Great post Lily! Sounds like you’re under the pump – all very exciting! Thanks for the mentions 🙂 I’ll be in the front row when Fairway releases on Kindle! The biggest congratulations to you for all your hard work, good luck! Really looking forward to reading this, Lily. Sounds wonderful. Best wishes, Noelle.